ACLI Racale Cooperative, a partner of the POnTE Project, opens today an information desk in the framework of Resilience, a local pilot initiative. This information point is located in the “hotspot” of the Xylella-infected area of Apulia (southern Italy) and aims to provide technical assistance and support to growers and farmers currently dealing with the management of infected olive groves: from the technical aspects (supporting farmers’ decisions, develop education initiatives, provide scientific-based information on strategies for controlling vector populations, vegetation management, selection of alternative crops) to the administrative and legal support for obtaining authorizations for removing infected-declining trees, for replanting, for moving plant materials outside the demarcated areas, etc. 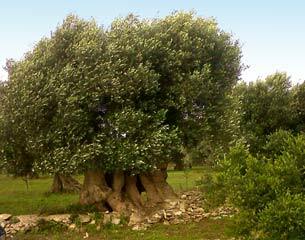 The long term objective is to promote and encourage farmers cooperation and association, for more competitive markets and for relaunching the rural economy of the area devastated by the inestimable losses of the olive trees. This information desk will be an important collector of the farmer’s needs, thus a “goldmine” for identifying priorities for future “bottoms up” research initiatives.